I was reading the Sunday NY Times on a plane bound for the west coast yesterday and, in scanning the obits, came across notice given for Tom Taylor, owner of the Ron Holland -designed S/Y Avalon (formerly Gleam). 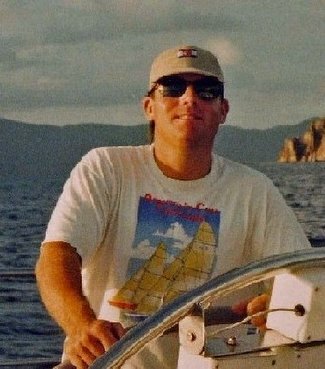 I had the privilege of crewing aboard Avalon during the Newport Bucket Regatta, July ought five, and covered it extensively. Though I only met Tom once, he struck me as a generous, affable host and rightly took satisfaction in his beautiful yacht. As well he had a strong competitive spirit - as evidenced by Avalon's victory at the Bucket - and an obvious zest for life (see above photo). "Big T" as he was known, died at age 62. Sad news...and a proof point for the Ecclesiastes quote I mentioned in the last post. My condolences to the Taylor family.